This week on The Great British Bake Off was biscuit week. 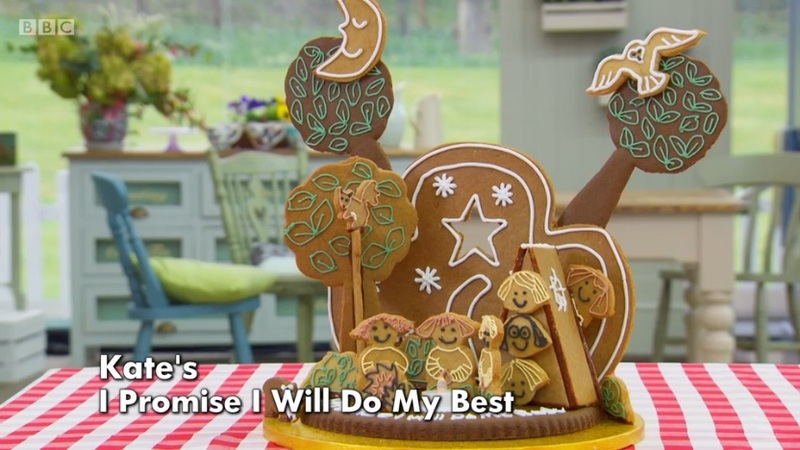 Sue Perkins was missing from the episode this week due to a family bereavement at the time of filming, so Mel held down the (gingerbread) fort. The previews of the episodes showed several disasters and collapses so I was expecting a lot of gasps and tense moments! This week I’ve made Blackcurrant & Mascarpone Viennese Whirls, head to the bottom of the post for the recipe. For the first challenge the judges requested 24 crisp and identical iced biscuits. Mary warned against being over ambitious, she wanted absolutely perfect biscuits with the same thickness and texture. Paul seemed quite happy just to be getting a whole load of biscuits to eat. 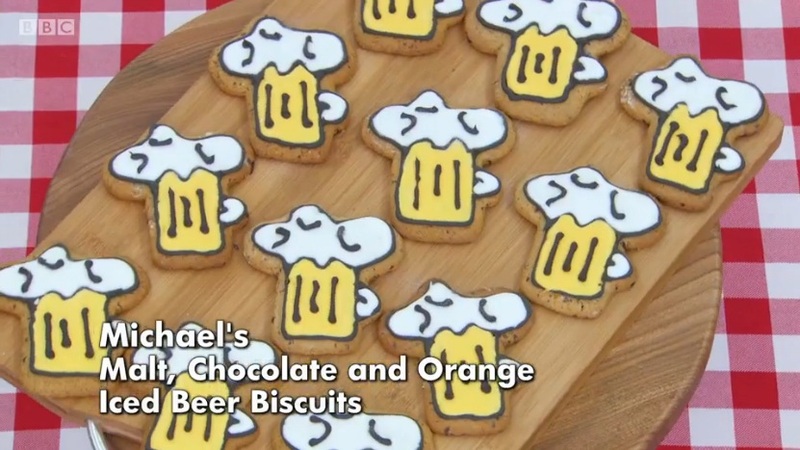 I loved Michael’s beer biscuits, and the judges loved them too. They said they were uniform, crispy and had good flavour. Tom made some coffee and chai spiced biscuits and he got a Paul Hollywood handshake! Louise made sheep shaped bara brith biscuits and she had some disasters along the way as she dropped a whole tray of biscuits. Paul said her biscuits were more like scones as they were so soft. 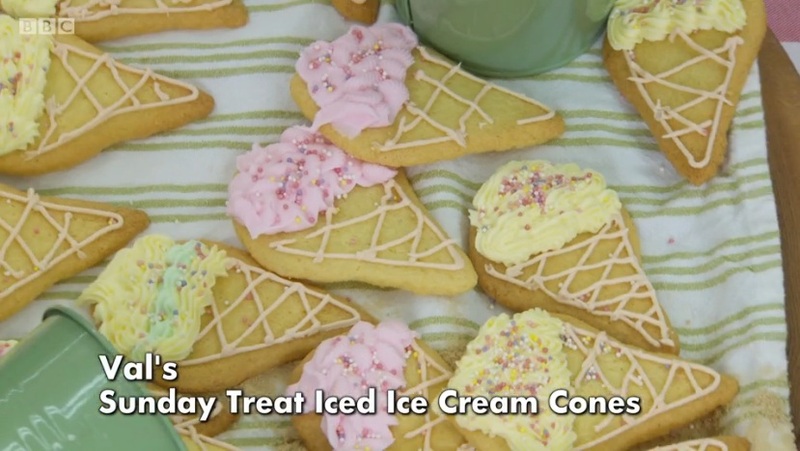 Val made ice cream biscuits and she knew she needed to improve on her presentation, although throwing a batch of biscuits on the floor and springing a leak from her piping bag didn’t help. Mary was quite critical of them saying they were not finished well – harsh words from Bezza! 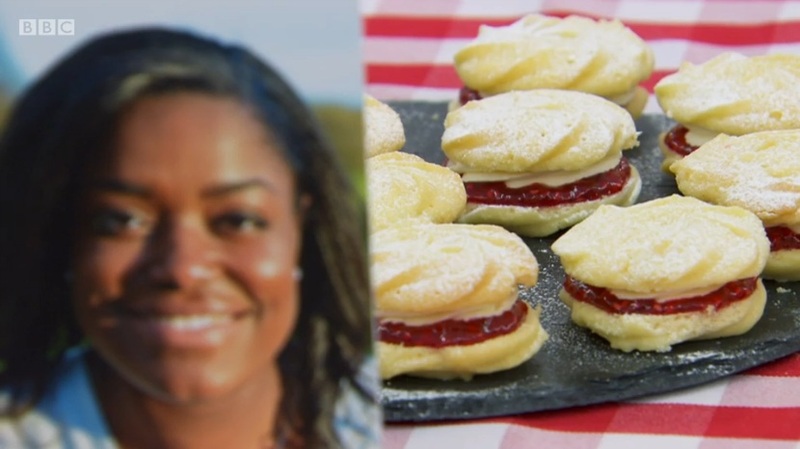 This week’s technical challenge was 12 Viennese Whirls filled with buttercream and jam. They were following a Mary Berry recipe. Mary said the biscuit had simple ingredients but the bakers needed to make sure the butter was soft enough otherwise the mixture would be too stiff for piping. She also wanted to see the swirl after the biscuits were baked, and she expected the bicuits to be very short in texture and crumbly with good proportions of buttercream and jam. Selasi had made them before and when he noticed his mixture was too stiff for piping he decided to beat it more to soften it. Michael also had his own technique for solving this problem – he put it in the microwave. A few of the bakers decided to chill the biscuits before baking, but Tom noticed this wasn’t mentioned in the recipe so he decided to just bake his biscuits. Despite his previous experience, Selasi came last in the challenge. Louse was 10th, Michael 9th, Candice 8th, Tom 7th, Rav 6th, Val 5th and Andrew 4th. Benjamina won 3rd place, Jane came 2nd and Kate was the winner! This week’s showstopper was quite the request… a 3D gingerbread story, which must say something about them, be at least 30cm high and feature 8 characters or objects. Gingerbread usually contains black treacle and/or golden syrup as they both flavour and colour it, all of the bakers used these ingredients except for Selasi who was using honey instead. Kate went all out with her flavours by making three different kinds of gingerbread including a lemon and cardamom flavoured one. 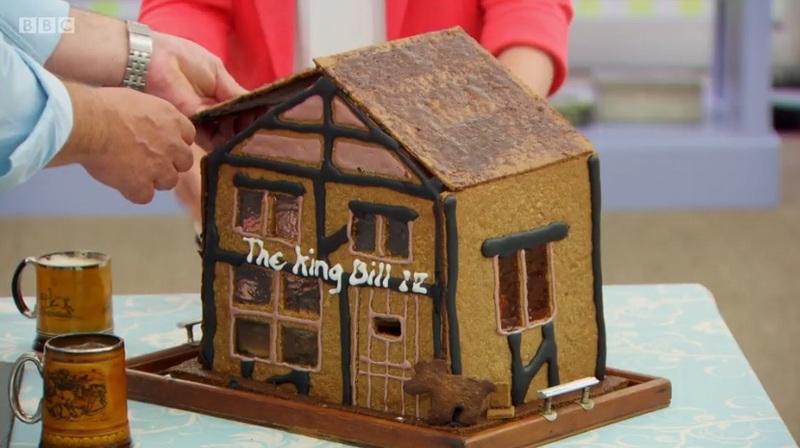 Candice made a gingerbread pub to represent the pub she grew up in as a child. She put so much thought into each element. The ‘floor’ was a sticky gingerbread cake to represent a sticky pub carpet, and the pool table was made using jelly. It was very impressive! Michael and Rav both made Christmas scenes, and Selasi and Louise both went for churches. Meanwhile Benjamina was constructing the Chrysler building in New York and Val was building the Empire State in gingerbread. Both Louise and Val had disasters, collapses and breakages. Andrew did very well with his punting in Oxford scene. 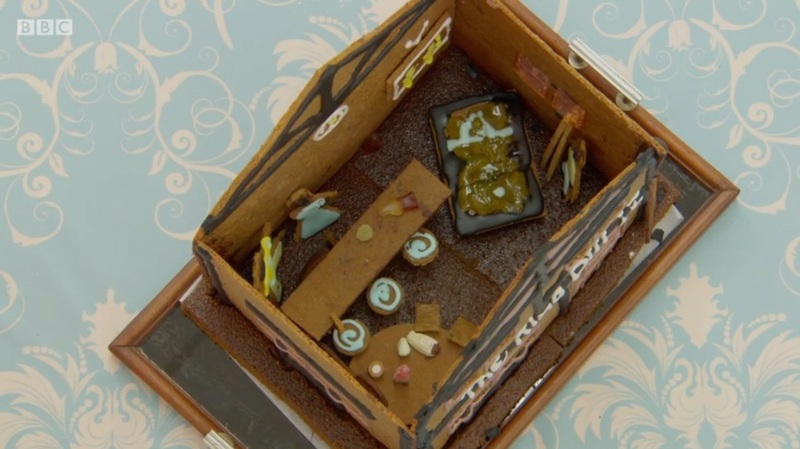 Michael’s Christmas scene was messy and simplistic, but Paul said his gingerbread was the best. The judges loved Candice’s pub, Paul called it superb and Mary called it smashing. 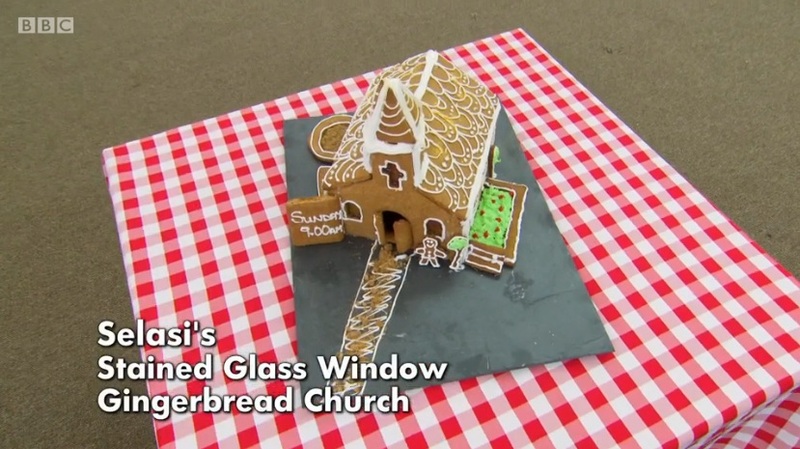 Rav’s gingerbread was burnt, and the judges couldn’t taste any ginger in Selasi’s church. Louise was the one to leave this week as she had a lot of disasters this week. 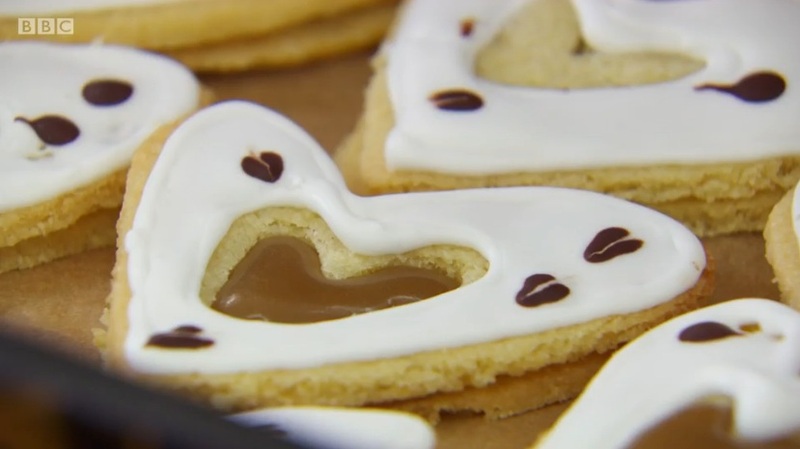 Candice won star baker this week, mostly due to her smashing showstopper. Mary said it would be remembered forever. Next week is bread week! This week I decided to make the technical challenge of Blackcurrant & Mascarpone Viennese Whirls. I have made them before, but I’ve made iced biscuits and gingerbread houses before too and these were the most delicious option in my opinion. I wanted to mix it up a bit and change the flavours so they were a bit different from the traditional kind. 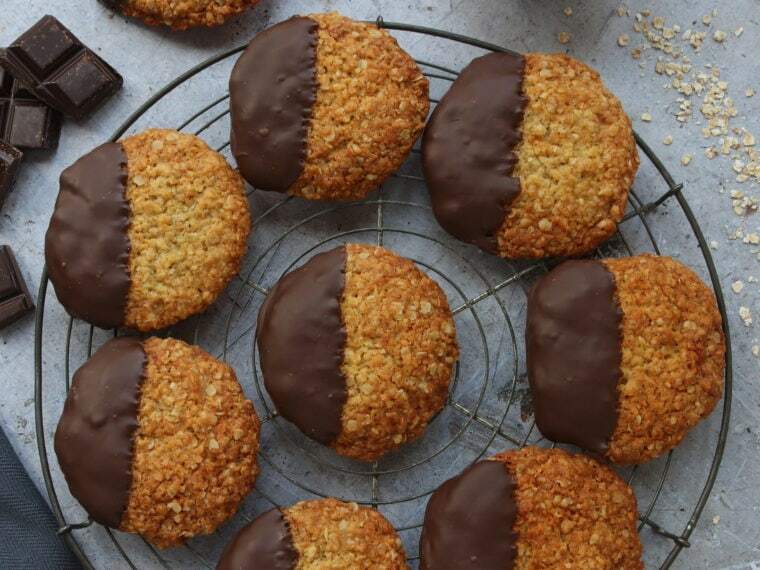 To make them I used a Hairy Bikers recipe for the biscuit base, as when I made Cherry & Almond Viennese Swirl Biscuits in the past it worked really well for me. To make the biscuit dough I creamed together butter, plain flour, icing sugar, cornflour and vanilla extract. I used a 2 inch (5cm) cutter and a pencil to draw guidelines on my baking paper. Then I flipped the paper over so the pencil was on the bottom. I put the mixture into a piping bag fitted with a large star nozzle. I tried a couple of ways of piping them, and I thought starting the swirl in the middle and working out looked the best, I kept piping until all the mixture was gone. They baked for 15 minutes, let them cool on the tray for 5 minutes, before transferring to a cooling rack. While they were cooling I made the mascarpone filling by creaming together butter and icing sugar, then adding mascarpone and vanilla extract. I used an electric hand mixer to do this as it made sure the mixture was not lumpy, and it made it nice and thick. I put it in the fridge to chill for an hour so it was stable enough to pipe. To sandwich the Blackcurrant & Mascarpone Viennese Whirls together I piped some of the mascarpone filling on one half, and spread some blackcurrant jam on the other half. I sandwiched them together and the biscuits were ready. The texture of the Blackcurrant & Mascarpone Viennese Whirls are soft and buttery, and the mascarpone filling is fresh and sweet against the tangy fruit of the blackcurrant jam. They are heavenly! To sandwich the biscuits together, pipe or spread some of the mascarpone filling on one half, and spread some blackcurrant jam on the other half (about 1 tsp). Sandwich them together and the biscuits are ready! 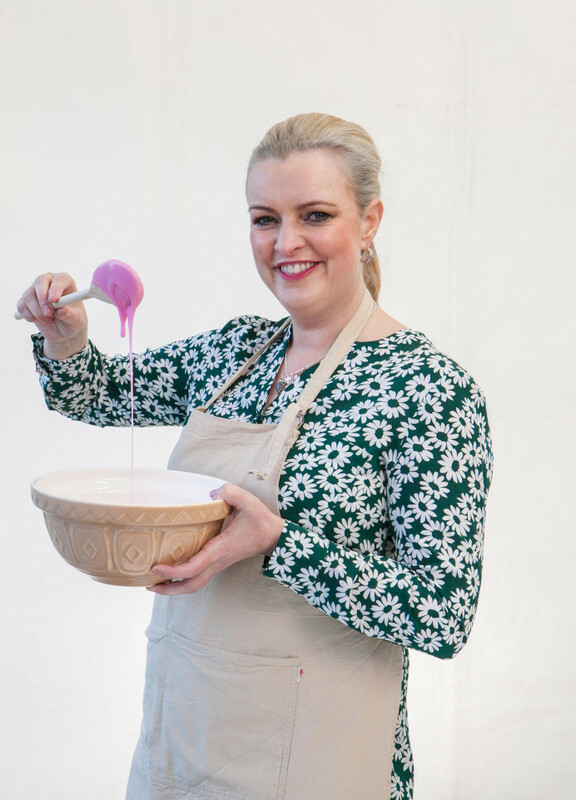 Thanks Jenny and thank you for hosting #GBBOBloggers2016 ! 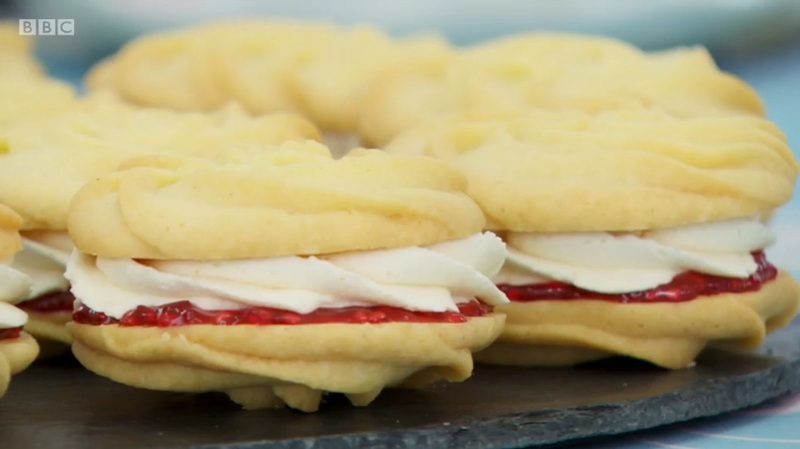 They do look really good Viennese whirls and I love the flavour combination. Actually I love Viennese biscuits full stop ! and agree with jenny above want to reach in and take one. Me too, I am a huge mascarpone fan! Urgh, these look wonderful! I love the idea of using mascarpone instead of butter cream – I thought mine were overly sweet, but that would counteract it! I agree with the piping – my whirls were rosette shaped too, and I think they look prettier that way! Thank you! I found the rosette shape also it makes them flatter too so they don't wobble about too much on a plate – not that they're there for long! Ooh, I like the idea of changing the jam flavour. These turned out really amazing! My iced biscuits, didn't quite make the cut, but it was still a lot of fun to bake them! Thank you! I just checked out your snowman biscuits – they are awesome! Haha I know! I didn't chill them at all before baking, maybe it is the piping or the recipe used? Your whirls are perfect and I love the flavour too, blackcurrant sounds fab. Thanks Camila! As I'd made the biscuits before I really wanted to do something different with the filling. They look gorgeous Kat and I love the sound of the mascarpone filling! Great idea to use a template for the swirls, it seems to have worked as yours all look at neat and uniform. I love the sound of your filling flavours – I'd imagine they're absolutely delicious. I'm going to have to take a look at the cherry and almond recipe you mentioned too as that's one of my absolute favourite flavour combinations. I spotted these last week & thought what a great shape they've managed to keep. I bet they tasted amazing with the blackcurrant jam, which I haven't eaten in ages – always reminds me of Saturday mornings when I lived at home & I had it on a crispy breakfast roll. Ooh I love mascarpone and this flavour combo sounds absolutely delicious! I fell for these after seeing them on Twitter today. Beautiful and delicious flavours. These would go beautifully with my Afternoon Tea. Or anytime of the day!